Dartmoor is a place that we often drive across, on good weather days, possibly stop for a short walk and take in the views, or head to in search of Sunday lunch when we are staying in Devon on a family holiday, however it’s not somewhere we have spent a whole day in one place before on a family day out … until this past summer while on a staycation in Devon. 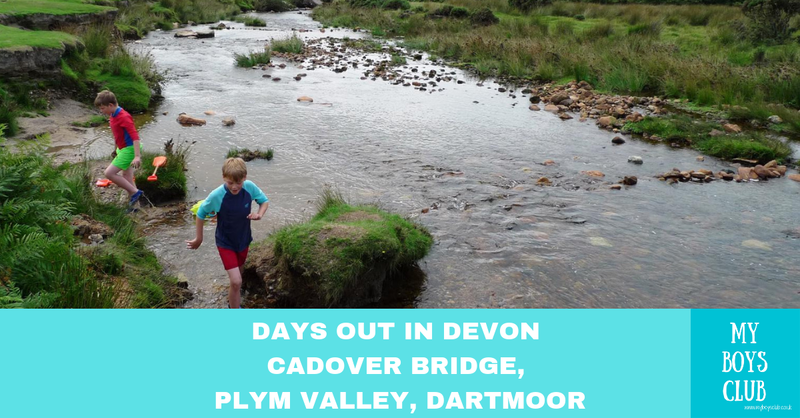 When you visit Devon and travel into the very heart of it, you will discover a magical, ancient landscape of stunning views, awe-inspiring granite tors, deep wooded valleys with fast flowing rivers, and rugged, wide open spaces. This is Dartmoor, where you can truly escape to find peace, quiet and extreme beauty. And it is where we found Cadover Bridge. Cadover Bridge in the Plym Valley is an absolutely idyllic spot. Nestled between Yelverton just south of Tavistock, Plympton and Plymouth it is a National Trust area. Located on tranquil moorland by the River Plym it is a great starting point for walks across open moors and tors, or ancient woodland or a fantastic place to have a family picnic with enough adventure nearby to fill a whole day. A very popular picnic spot in the summer, Cadover Bridge has a large car park – with its own ice cream van too. If you just want to enjoy the stunning scenery, enjoy the river and play with the children, Cadover Bridge is the ideal place. There are lots of things to do and activities that children can do here, so they shouldn't get bored. From building a dam in a stream, search for geocaches, learning to use a map and compass, or even climb a huge hill. Dartmoor National Park is an area of moorland situated in South Devon, England. It covers 368 square miles with its highest point at 621m. 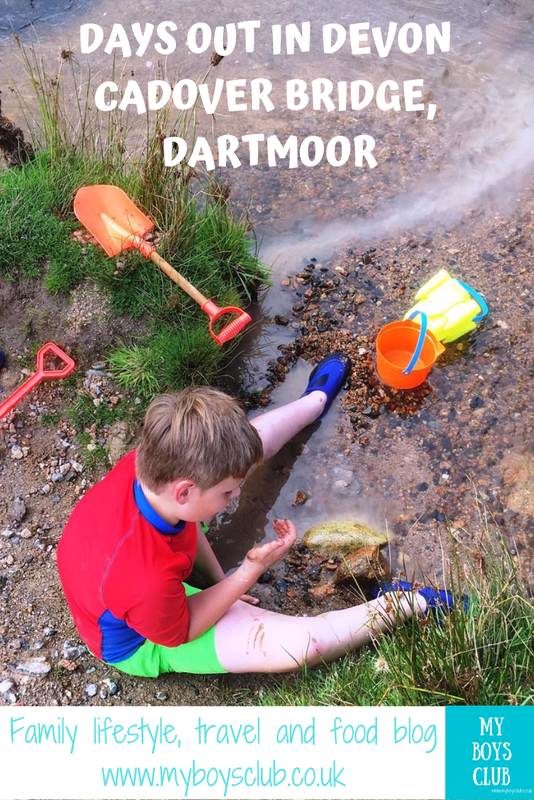 The high ground of Dartmoor forms many of Devon's rivers which have shaped the landscape and traditionally provided a source of power for moor industries such as tin-mining and quarrying. Situated in South West England it heavily influenced by the mid-Atlantic drift, and wet, misty, foggy, windy and cold weather is not uncommon but Dartmoor has a very gentle side too. On sunny days there are lots of safe, quiet areas where you can picnic with the family, enjoy easy to follow trails for strolling, walking and cycling, or the many lovely open spaces where the children can run to their heart’s content. Do note though there are no facilities ar Cadover Bridge. We played cricket and football. Enjoyed a picnic. Built dams, paddled in the stream and skimmed stones. Watched countless people set off on walks across Dartmoor and we also watched farmers round up their sheep with sheepdogs moving their livestock across the moors. And it is a place I wouldn’t hesitate to return too. Don’t think the boys would be complaining either! Cadover Bridge is on Dartmoor, near Shaugh Prior, Devon between Yelverton just south of Tavistock, Plympton and Plymouth. Where is Cadover Bridge open? It is open every day from dawn to dusk. Does it cost to visit Cadover Bridge? No, visits are free and so is parking. Is Cadover Bridge good for kids? Yes, we wert her with an 11-year-old, 9-year-old, 7-year-old and a 4-year-old and they all had so much fun. The adults too. We were able to sit back and relax as we could see the children wherever they went which meant it was a lovely relaxing day for us too. And the sun shone! Don’t forget the sunscreen – the sun is very strong on top of the moors. We also enjoyed a great family day out in Totnes and a visit to Totnes Castle, managed by English Heritage, while on our staycation in Devon this summer. Where else would you visit in South West England?